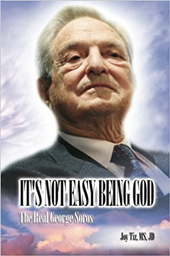 Despite certain fallacious assumptions, particularly regarding the veracity of the official “Holocaust” narrative of WWII and the purported diabolical nature of Adolf Hitler and National Socialist Germany, George Michael’s detailed biography of Willis Carto’s life, political activities, and publishing endeavors is commendably balanced and written in an extremely scholarly fashion, with literally hundreds of end notes coupled with an extensive bibliography. 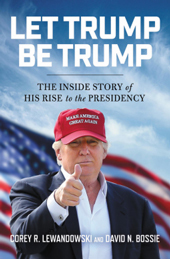 The details and facts provided throughout the book are painstakingly documented, providing a thorough and all-encompassing overview of one of America’s greatest patriots along with a general history of the American far right. 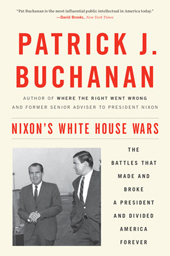 Michael, a political science professor who has studied and written extensively about the political right, was granted exclusive access to Willis Carto in preparation for his must-read book, Willis Carto and the American Far Right, conducting numerous personal interviews which allowed him to obtain a deeper insight into Carto’s views and activities since he became active in the right wing struggle shortly after WWII. Describing Carto as “undoubtedly the central figure in the post-World War II American far right,” Michael outlines Carto’s efforts to promote the various causes associated with the right wing in America. Carto has been instrumental in publishing and promoting a wide variety of marginalized, demonized ideas and political perspectives over the course of his long publishing career. The Spotlight, perhaps Carto’s most influential and well-known publication that was later reorganized as American Free Press, championed traditional right wing and conservative causes including nationalism, populism, patriotism, and racialism. Carto’s publications have also been and remain uncompromising opponents of multiculturalism, unnecessary wars and foreign interventions, and the push for internationalism, free trade, and open borders, among other important issues. The views and opinions found in Carto’s former and current publications epitomize American political and economic traditions formulated and implemented by the Founding Fathers. 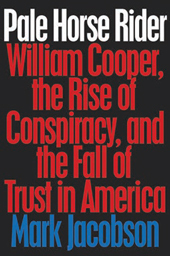 Perhaps his most controversial endeavor (yet arguably the most important), Carto also sought to institutionalize historical revisionism, which is simply an attempt to bring history into accord with the facts as we know them, especially as it relates to WWII and the alleged Jewish “Holocaust.” This vital and courageous undertaking lives on with The Barnes Review, the sister publication of American Free Press. Additionally, Carto attempted to institutionalize a populist, America-first political lobby and political party, founding the Liberty Lobby and the Populist Party respectively. As the founder of the Liberty Lobby, which Michael characterizes as “one of the most enduring institutions in the history of the movement” that “provided a base where virtually all segments of the far right came together,” Carto sought to institutionalize and unify the various, and often diverging, actors and organizations comprising the right wing in an effort to gain credibility amongst the American populace as well as advance the interests of the right wing more effectively. 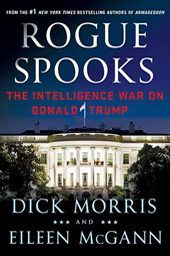 Given the nature of the Liberty Lobby’s political persuasion, along with its hard-hitting, resolute, and popular publication, The Spotlight, it of course attracted powerful and ruthless enemies who were determined to undermine and destroy it, which was eventually accomplished. Michael details the origins and platform of The Spotlight newspaper, which was “an important bridge between various segments of the far right,” a role now fulfilled quite effectively and successfully by American Free Press. Indeed, American Free Press and The Spotlight before it are arguably “the organ of the American far right” as Michael notes, which appeal to many segments of the right wing in addition to other populists, environmentalists, and critical thinkers, including opponents of globalism, massive immigration, and the Israel lobby as well as traditional America-first conservatives and racialist thinkers. Early in his career, Carto eloquently argued that “each cultural unit has a moral imperative to be true to itself and pursue its own destiny,” a theme that is righteously emphasized in his both his current and past publications. 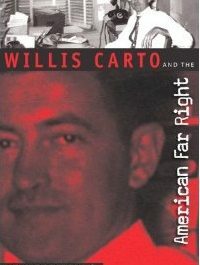 Willis Carto is a man who has done more to advance the agenda and causes of the right wing in post-WWII America than any other single individual. Over the years, he has published a variety of newsletters, newspapers, and journals, covering some of the most important and controversial issues facing not only America, but the entire world. Carto has never backed down from or avoided the uncomfortable realities that so many in the media and political establishment cowardly acquiesce to or traitorously facilitate. Confronting the organized Jewish community, the Israel lobby, race hustlers, cultural Marxism, the war on White America, and false narratives of history— particularly as they related to WWII—Carto has been, and remains, in the vanguard of authentic American nationalism, populism, and truth-telling. He has been persecuted, stabbed in the back, and slandered—yet he has persevered and today he stands as the most iconic and influential figure in the American right wing. Michael’s book is simply a must read for anyone truly interested in the history of the American far right and the courageous, heroic efforts of one of its key players in the post-WWII era—Willis Carto. To obtain a thorough understanding of Carto’s worldview and opinions on a variety of controversial and complex geopolitical and historical matters, pick up a copy of An Appeal to Reason: A Compendium of the Writings of Willis A. Carto. Discover what Carto really thinks about these important subjects, straight from the horse’s mouth. The rain falls from only one source–the clouds. Once on earth, it ends up in many places: ‘on deposit’ in lakes and oceans; ‘in circulation’ in rivers and streams; and eventually, it returns, via evaporation, to the sky. There is a balance between the amount leaving the earth via evaporation and the amount returning as rain. Were that not the case, we would end up either flooded or a desert. Suppose now that the only source of rain, the clouds, were to regard the rain which fell upon the earth as a loan, to be repaid with interest. In other words, more water would have to be evaporated than provided by rainfall. How could earth return to an only source more than it was given? That is the question to ask regarding our money. How can the borrowers of the country return to the banks more than was borrowed? Principal, after all, was borrowed. But principal plus interest must be returned. How can this be done? A Constitutional Republic, such as the United States of America, is set up with rule by law. The majority rule ends at the ballot box where we elect our representatives to oversee that Republic and law. Each takes an oath to “uphold and defend the Constitution of the United States.” When that republic evolves into a democracy, such as in the United States today, fifty-one percent can be brainwashed into overriding that supreme law and force the other forty-nine percent to do whatever. It then is no longer rule by law (God) but rule by man. Saussy, who died suddenly on Friday at the age of 70, is likely to be remembered as one of the great personalities in Nashville history, a man described over and over by friends and observers with the cliché “larger than life.” He filled many different roles over the years, but he played each one with panache, wit and fierce originality. As an ad-man, Tupper Saussy co-founded a thriving Nashville agency in the early 1960s that was fueled by his amusing jingles and witty wordplay. McDonald Saussy Advertising Agency made its name with a Purity Dairies campaign featuring a cow, a kangaroo and the slogan “Don’t pay no ‘tention to kangaroos.” Other clients included some of Nashville’s most prominent businesses of the day, such as Genesco, Commerce Union Bank and May Hosiery Mills. When he grew tired of advertising and turned to music full-time, his band, Neon Philharmonic, turned out an album that attracted two Grammy nominations in 1970. Over the years, his songs have been recorded by such a diversity of artists as Shaun Cassidy, Perry Como, Chet Atkins, Al Hirt, Brenda Lee, Ray Stevens, Roy Orbison and Patti Page. As his commercial music career faded out, Saussy became a restaurateur, briefly, and the paintings he executed to hang on the walls of the café led to yet another career in art. Encouraged by a leading collector, he produced and sold a large portfolio of works, many painted on paper bags. And then Saussy became a tax protester. 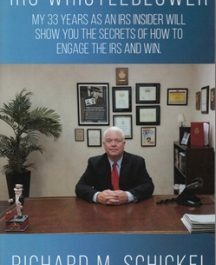 Feeling “bullied” by the Internal Revenue Service, he spent the last half of the 1970s reading and thinking about taxation and personal liberty. “He had an extremely demanding idea of what freedom is,” son Haun remembers. While his case was on appeal, Saussy became attracted to a conspiracy theory about the murder of Dr. Martin Luther King Jr. in 1968. He got to know James Earl Ray, who had been jailed for the murder, and ghosted Ray’s autobiography, Tennessee Waltz, which asserted Ray’s innocence. On April 10, 1987, Saussy turned up at a side door of the federal prison in Georgia where he was supposed to begin serving a one-year sentence. He had himself videotaped making a defiant statement about his case, which was sent to a Nashville television station, and then he disappeared. Finally, in November 1997, federal agents caught up with Saussy. Captured without incident in California, he was sent to prison for a term that lasted 20 months. Surviving Tupper Saussy, in addition to son Haun of Guilford, Conn., are one daughter, Melinda Saussy Miller of Phoenix, Arizona; a stepdaughter, Alexia Camille Vallord; and sons Pierre Philippe Saussy of Miami, Fla.; Laurent Amaury Saussy of Los Angeles, Calif.; and five grandchildren. A memorial service in honor of Saussy will be held on Friday, March 23, at Christ Church Cathedral in Nashville. The family visitation will begin at 12:30, with the service at 2:00. Burial will take place in Statesboro, Ga. 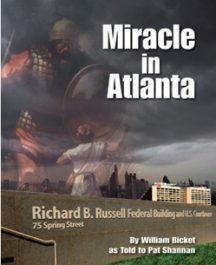 The films of Ronald Reagan exiting the Washington Hilton clearly show Secret Service Agent Tim McCarthy being shot by someone other than John Hinckley, Jr. And what are the odds that the greatest potential beneficiary of Reagan’s demise would be the close friend and business associate of John Hinckley, Sr.? 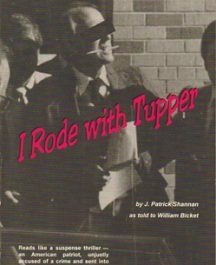 Why did the wounded Reagan arrive at the hospital 15 minutes after Jim Brady, when his limo left the scene five minutes before Brady’s ambulance? The un-American thought police operating on American soil have struck once again. This time their victim is veteran Christian evangelist Dale Crowley, Jr. who has been the host of two popular radio programs broadcast over WFAX 1220-AM radio in the Washington area for the last 20 years. Crowley was told by Doris Newcomb, president and general manager of WFAX, that his Saturday morning broadcast, “Focus on Israel,” was terminated immediately. He was not even given an opportunity to bid farewell to his longtime listeners. The program was canceled by the WFAX management because supporters of Israel had complained to the radio station about Crowley’s criticisms of Israel. Over the years Crowley has been critical of Israel. He has dared to broadcast facts about efforts by the Israeli government to curtail the work of Christian missionaries in the Holy Land, even to the extent, as Crowley has pointed out, of laws introduced in the Israeli parliament that would penalize Christians who engage in missionary work among the Israelis, requiring that those convicted of evangelism be sent to jail. In addition, Crowley has used his WFAX broadcast to tell Christians in the Washington area of how the Israelis have oppressed Christian Palestinians, uprooting them from their homes, vandalized Christian churches in the Holy Land, and otherwise made life difficult for Christian Palestinians and other Christian Arabs in the Middle East. Crowley has upset many supporters of Israel by pointing out that under the thinking of such Christian supporters of Israel as Jerry Falwell, Pat Robertson and Tim LaHaye, a New York-born Jewish atheist has more right to live in the holy city of Jerusalem than a Palestinian Christian minister whose family has lived there for 1,000 years. For daring to speak truths such as this, Crowley’s “Focus on Israel” program has been banned from the airwaves by the management of WFAX radio, although it’s quite clear, according to observers who have been investigating the matter, that there was heavy-handed pressure brought to bear on WFAX. Ironically, Crowley first began “Focus on Israel” in collaboration with the late Haviv Schieber, a Polish-born Jew who emigrated to Palestine in the 1920s and became the first mayor of Beersheva. The town is near the location of what became the site of Israel’s supposedly “holy” facility where that nation has produced nuclear weapons of mass destruction. Since Crowley’s friend Schieber was a no-holdsbarred anti-communist, Schieber broke with Israel, critical of Israel’s behind-the-scenes collaboration with the Soviet communists. Seeking political refuge in the United States, Schieber became friends with Crowley and his wife Mary. After several years of working with the Crowleys, Schieber converted to Christianity, a fact that delighted many WFAX listeners. In fact, Schieber died in Crowley’s home, just shortly after telling Crowley that he had seen a vision of Jesus Christ welcoming him home. Yet the Christian management of WFAX has bowed to the demands of the Zionist lobby and is silencing Crowley, a missionary who brought an Israeli Jew to Christ. 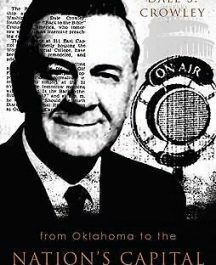 What is all the more astounding, to Crowley’s Christian supporters at least, is that WFAX management has advised Crowley, in addition, that he is likewise not permitted to talk about “Israel” in future broadcasts of “The King’s Business,” his daily program which is broadcast Monday through Friday. Since the term “Israel” is mentioned in the Bible over 2,500 times, if Crowley is not allowed to mention that term, it will obviously make it difficult for him to talk about the Scriptures. In the meantime, WFAX critics note, there are pro-Israel broadcasters appearing on WFAX, such as one Sid Roth for example, who repeatedly praise Israel. On February 10, 1861, Jefferson Davis and his wife, Varina, were taking rose cuttings in their garden at Brierfield, the Davis plantation on the rich bottomland along a looping bend in the Mississippi River. Three weeks earlier, just recovered from an illness that had kept him in bed for several days, Davis had resigned his seat in the U.S. Senate when he received official word of Mississippi’s secession from the Union. He and his family had made their way home slowly, stopping on January 28 at the state capital in Jackson, where Davis learned that he had been named major general of the Army of Mississippi. It was a position congenial to his desires. As a graduate of West Point, an officer in the regular army for seven years, commander of a volunteer regiment in the Mexican American War, secretary of war in the Franklin Pierce administration, and chairman of the Senate Committee on Military Affairs, Davis had vast and varied military experience qualifying him for such a position. He immediately set to work to reorganize and expand the state militia to meet a potential invasion threat from the U.S. Army. 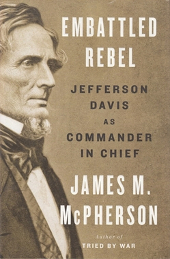 Davis also anticipated the possibility that the convention of delegates from six seceded states meeting in Montgomery, Alabama, might choose him as general in chief of the soon-to-be-created army of the Confederate States of America. But for now he was careworn and exhausted. He wanted only to get home to restore his health and energy, supervise his 113 slaves as they prepared Brierfield for the year’s cotton planting, and relax by working in his flower and vegetable gardens. While Jefferson and Varina were taking rose cuttings that pleasant February day, a special messenger arrived from Vicksburg. He handed Davis a telegram. Varina watched her husband as he opened and read it. His face blanched, she recalled. “After a few minutes’ painful silence” he told her “as a man might speak of a sentence of death” that the convention at Montgomery had unanimously elected him provisional president of the Confederacy—not general-in-chief, but commander in chief, with all of its political as well as military responsibilities and vexations. He did not want the job. He had expected it to go to Howell Cobb of Georgia. 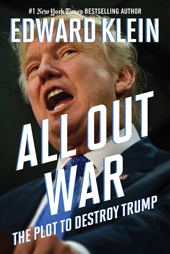 But the convention, anticipating the possibility of war with the United States, had chosen Davis in considerable part because of his military qualifications, which none of the other leading candidates possessed. Despite his misgivings, Davis’s strong sense of duty compelled him to accept the call. He prepared to leave for Montgomery the next day.